This new class of RC Off-Road short course race trucks is taking the off road racing world by storm. Probably the coolest thing about this RC race truck is it looks, handles and performs very similar to the actual real life race trucks. The body is full fendered, and on acceleration the rear squats down and on braking the front dives down. 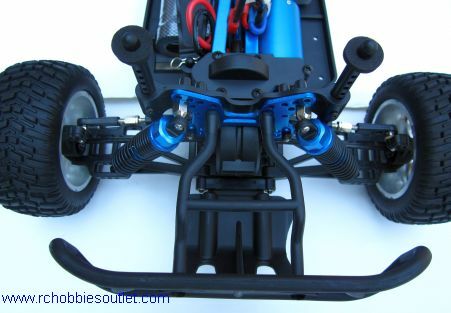 In the corners it is designed for dirt flying power slides with extreme body roll all the time keeping the tires planted on the ground with it's loose long-travel suspension. The long-travel suspension enables the short course race truck to master any obstacle it encounters. So, if you are looking for intense high flying, fender to fender off-road racing the RC short course race truck is for you. 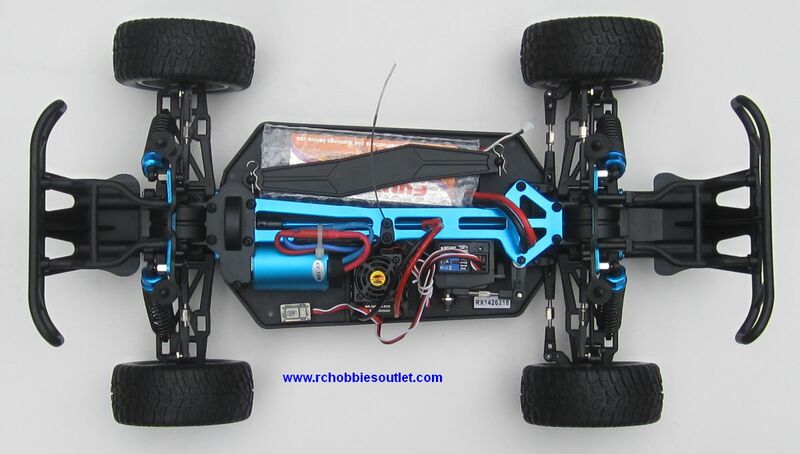 This New HSP Pro Version Brushless Electric RC Short Course Truck is a whole new animal with the addition of the Very Latest HSP Brushless Motor, Hobbywing's latest Fan Cooled Brushless Electronic Speed Control and a 7.4v 3500 MAH LIPO Battery,. 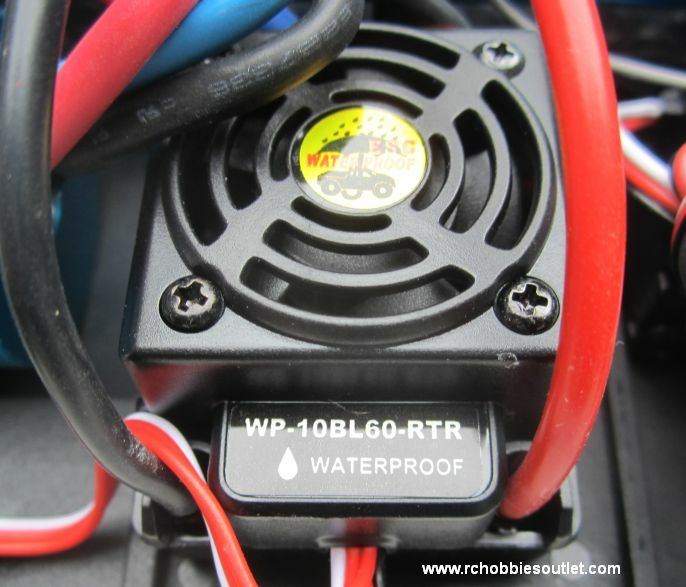 The new LIPO battery provides rocketing speed and acceleration , as well as substantially longer play-time. 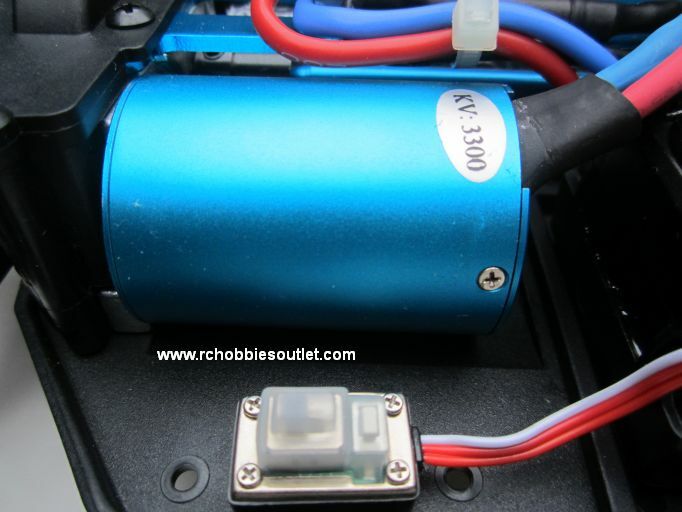 It can even be upgraded to a 11.1v (3S) 25C LIPO, for even higher speeds and acceleration. Brutal wheel yanking power will be unleashed when you squeeze the included Pistol Grip Controller. 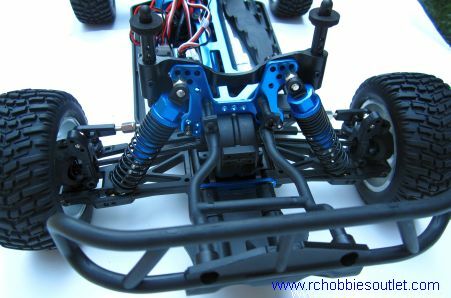 The Pro Version is our most powerful 1/10 Scale Electric Short Course Truck to date, and its built tough to take it. This Pro Version has many familiar and new features like all-metal Oil Filled Shocks, Fully Proportional Braking, Forward, Reverse, Full Ball Bearings and Specifically Designed All Terrain Tires, just to name a few. The specifically designed All Terrain soft compound Short Course Tires help grip the track while you hang on for the ride of your life. The new 2.4 Radio means longer range, no crystals, no external interference and no interference from other trucks. This RC Short Course Truck is 100% assembled straight out of the box. Super fast and fun truck. Reason for 4 not 5 stars is the factory plastic steering knuckles have to be swapped out already. 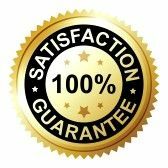 Aluminum replacements are readily available and ordered. Fast shipping after order,everything came as it should. Glad I found this website, will definitely order again. Very fast truck, so glad I found this website! Very happy with my purchase, I would definitely buy another rc truck. Fast shipping and very fast truck jumps like a champ! With expended lipo battery 5200 2s so far I am having a blast!! Great truck.. very pleased with this purchase.. for the price your getting a mean machine. I was pleasantly surprised on the power that this trucks brushless motor has , coupled with a battery upgrade for cheap , and you got a missile on your hands..... i highly recommend this unit if your not looking to break the bank and just wanting to have a blast of fun.. thank you rc hobby outlet for this amazing value for the dollar..